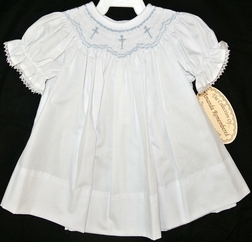 Beautiful white short sleeve smocked dress for baby girls. The smocking is embroidered with blue crosses. Perfect for Christening and for church.